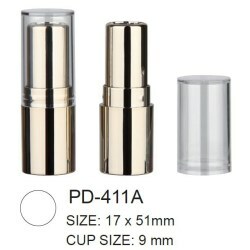 IMS Packaging introduces two new mini lipstick cases of cup size 9 mm. IMS Packaging introduces 3 new models of lipstick packaging: PD-05, PD-122, and PD-162. Each has a clear base to reveal the lipstick colour inside. IMS Packaging introduces 3 different styles of makeup pen, each features multiple applicator options that are required for various cosmetic purpose. IMS Packaging is introducing several new stick packaging options that are ideal for use with make-up foundation, concealer, blush, and many more colour cosmetic options. IMS Packaging has its main focus in providing a range of cosmetic packaging. One of its most popular products is lipstick packaging. The company is confident to offer selections of components either in plastic or aluminum for a wide range of lipstick demands. IMS Packaging introduces two new lipstick packs featuring a magnetic closure: One in square, one in a circular shape, both options are made of aluminium, and can be decorated with anodized color as well as silk screen printing. 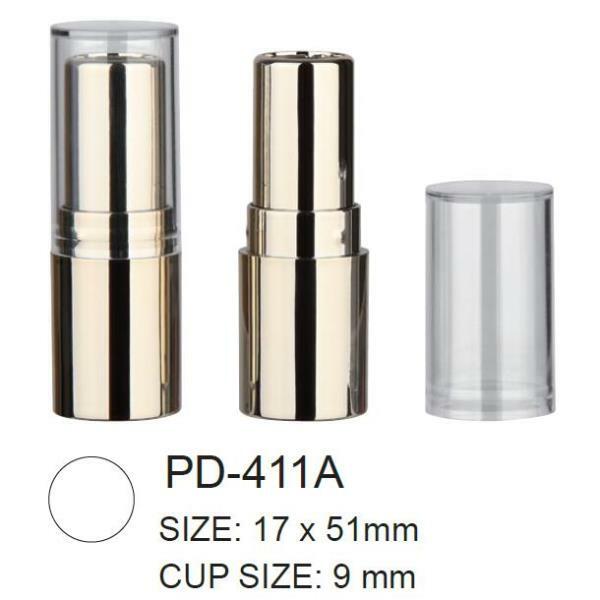 IMS Packaging introduces 5 new lipstick designs of plastic component and aluminum barrel, two of them features magnetic closure with optional cup size of either 12.1 mm or 12.7 mm. Introduced by IMS Packaging, the new CP-331 compact collection features either flat or domed lid, is a complete selection for domed powder and make up products. Two-tier makeup compact is one of IMS Packaging’s classic and most demanded item. The company manages to have all sorts of features for various market needs. Whether there is a clear window on the top lid, or sifter design for the base storage compartment enabling wet sponge to dry out, each feature makes big difference for individual user experience. IMS Packaging introduces a new square-shaped cosmetic packaging that can be lip gloss and mascara. IMS introduces a new cosmetic packaging that can be various makeup products. The prism-shaped bottle is an uncommon shape for cosmetic item. IMS introduces two new double-ended lipstick packaging that are made entirely of aluminum components. The slim-shaped, elegant design of the duo lipstick can be decorated with anodizing treatment and silk screen printing. IMS Packaging introduces two different aluminum lipstick options, one is for slim lipstick, and the other features a magnetic closure. IMS Packaging focuses in cosmetic solution for international brands. One of its recent development is to offer optional closure for its classic and popular eyeshadow compact – magnetic or snap closure. IMS Packaging introduces 3 options of cosmetic stick packaging in chubby pen shape that can be filled with makeup foundation, sunscreen cream, blush, eyeshadow, and various cosmetic items. 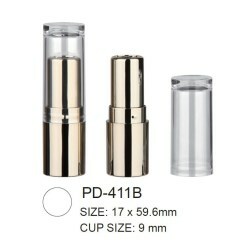 With a screw cap, the IMS airtight PP stick container is perfect for delicate cosmetic products. The airtight packaging solution comes in two different sizes and bullet cup specs. IMS Packaging adds three twistable eyeliner packaging components to its selection for beauty & cosmetic item. All of the cosmetic components can be treated with prevalent decoration technologies. Together with many of IMS’ previous lipgloss and mascara packaging design, the twistable eyeliner serves as an ideal & handy solution for makeup users. IMS Packaging has multiple cosmetic packaging selection that can fit in various market demand. One of its lipstick packaging has optional window feature on the top of the closure to showcase lipstick stick color within. IMS Packaging introduces a new compact that enables users open the compact and flip the applicator set upright. The mini compact has 3 recess to hold 3 different godets, a mirror beneath the applicator set, and a hinged holder for 3 different applicators. With 5 different recess layout designs, each mini magnetic compact serves for different purpose that can be eyeshadow, eye brow make up powder, blush, or even face powder compact. One of the basic and necessary provisions for cosmetic professionals has always been make-up foundation items, therefore IMS Packaging presents a range of premium quality foundation stick components with both one way or double-ended options available. Adding aluminum shell for different type of cosmetic packaging is one of IMS’s new tasks to bring a new luxurious presentation for makeup brands. The company introduces a selection of lipstick and mascara packaging decorated with aluminum component. IMS introduces 3 different airless dispensing compacts for companies that are looking for a new product option for the cosmetic market. Two in round shape, one in square shape, and all the 3 compacts are designed for exquisite formula of liquid makeup face foundation with high viscosity. IMS introduces new cosmetic packaging that is designed for loose powder makeup. Two different styles are available for selection, and consumers can choose between a jar with screw cap and a tall compact with a hinged lid. Easier loose powder application is facilitated by the super fine nylon sifter mesh. IMS Packaging introduces a thick-walled PETG packaging design for cosmetic products. The capacity is 6ml and the entire component is compatible with chemical compositions. The air-tight mascara, launched in 2016 originally with just three closure styles, impressed companies and received outstandingly positive feedback. Now, in 2017, IMS Packaging moves one step ahead, developing a further two closures to be added to the collection. IMS Packaging introduces its new lip gloss packaging design that features a push-open closure on the top. It take one simple push down to open the lip gloss bottle. Unlike other lip gloss packaging available in the market with a screw cap that requires both hands to hold and open the component, the new push-open closure works with one hand, it is indeed a simpler packaging design that offers better user experience. By adopting the advanced plastic injection technology, IMS Packaging introduces the bi-colored injection lip gloss packaging bottle for beauty and cosmetic companies. IMS Packaging introduces the new design that transforms conventional foundation stick packaging into a duo functioned tool with brush attached. IMS Packaging is known for being a professional color cosmetic packaging provider, and its recent acrylic packaging development for skincare brands is a big success. IMS Packaging has introduced its new compact design for 2016, the CP Collection featuring side open closure compact in 4 different sizes and recess arrangements. The CP collection compacts are elegant with soft outline curves. IMS Packaging believes in rapid change and its positive effect on fashion. IMS presents olive shaped mascara packaging with three different closure designs as well as unlimited brush types that can satisfy various product demands.